Costa Rica’s charm lies in its lush rain forests, unspoiled beaches and abundance of wildlife. 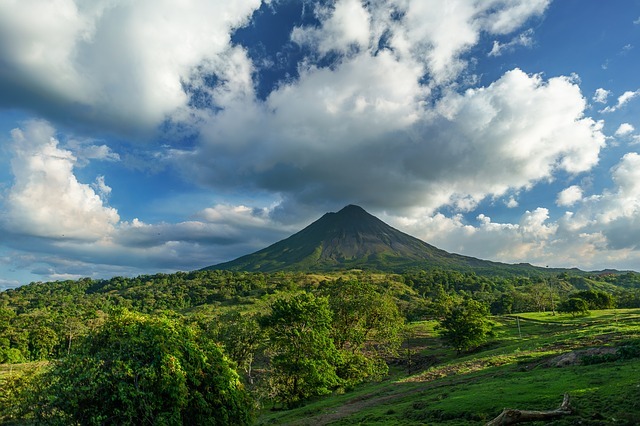 Posted in one of the most ecologically diverse environments in the world, your team will travel to small communities around Costa Rica's capital, San Jose, to treat patients in great need of care. After clinic, return to your hotel located in the vibrant capital, known for its victorian mansions and famous "golden bean" coffee. You will stay in a safe and comfortable hotels with bottled water and excellent meals cooked to American standards provided by IMR throughout your stay. Transportation is provided for your team by professional drivers in safe vehicles. You will be a remote area of Costa Rica caring for patients with little or no access to care so be prepared for a little jungle time! You're venturing around the globe, have you considered extending your stay a few additional days to visit some of Costa Rica's top spots? Join IMR on an exclusive four-day extension! Pack your flip flops and get ready for the magic of the laid-back Caribbean paradise of Puerto Viejo de Talamanca. Famous for its Salsa Brava surf break, this colorful beachside town is not just for surfers. Its cool Caribbean attitude and variety of outdoor activities make it an attractive and exciting travel option for all! From adventure-filled days, to calm peaceful nights, Puerto Viejo truly has something for everyone! Plan to land in Liberia, Costa Rica in the morning or afternoon so you can meet your team in Upala, a small town just south of the Nicaragua Border. In the evening, you will have dinner as a team at your accommodation and go through team orientation to prepare you for clinics! You and the team will be staying in modest accommodation with fellow ecotourists. Each day, you and the team will wake up to breakfast provided by your accommodation and gear up for a long day in clinic! Each clinic site will be close by and set up in community centers, schools and churches. Hundreds of Nicaraguan families and children are crossing the border each day, so you will have an opportunity to help many people in great need. You and your team will also have opportunities to spend a day touring Costa Rica and nearby activities! Eat traditional gallo pinto, fresh fish and tostones and tour a nearby volcano or go to the beach! Wake up and enjoy your last morning in Costa Rica with breakfast at your accommodation. You and the team are able to depart back for the airport anytime, or stay and continue to explore Costa Rica! Contact Worldwide Navigators if you would like to extend your stay! Pay 1,050 and complete your application to secure your place as a TEAM MEMBER! Pay 1,050 of the total cost by the Early Bird date AND upload/complete all of your required documents and forms receive $200 off the cost of your trip. To confirm your space on the team: Pay 1,050 of the total cost AND upload all of your required documents and forms! Unfortunately, eligibility for the $200 savings on this trip is no longer available after Sep 29th, 2019. Before Sep 29th, 2019: YES! IMR will arrange your international flight on a "group" ticket at your request! Pay 1,050 of the total cost AND upload all of your required documents and forms to be eligible to fly on the international group ticket. IMR Group Flight: In order to qualify for the IMR Group Flight, you will need to reach 50% of the required donation on or before Sep 29th, 2019. Early Bird Special: A discount of $200 is awarded to team members who raise / pay 50% of the required donation on or before Sep 29th, 2019.